Eliza Manningham-Buller MI5 and Princess Diana: yet another NFB exclusive. Wombles: police fit-up successfully resisted. Peter Taylor's 'True Spies' documentary series under the NFB microscope. The BNP & the secret state. 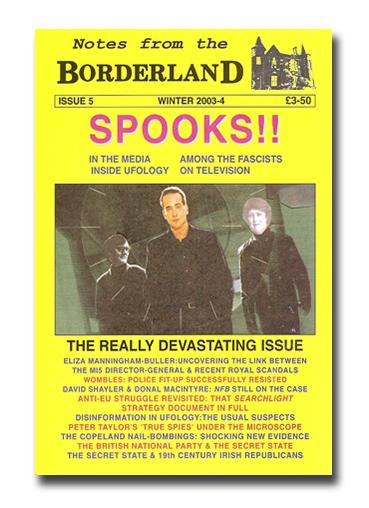 Ufology, Macintyre, Shayler, Copeland, anti-EU struggle updates.